Motorola needs very little introduction. In 2001, Motorola bought General Instrument for £11 billion which created the Motorola Broadband Communications Sector (BCS). 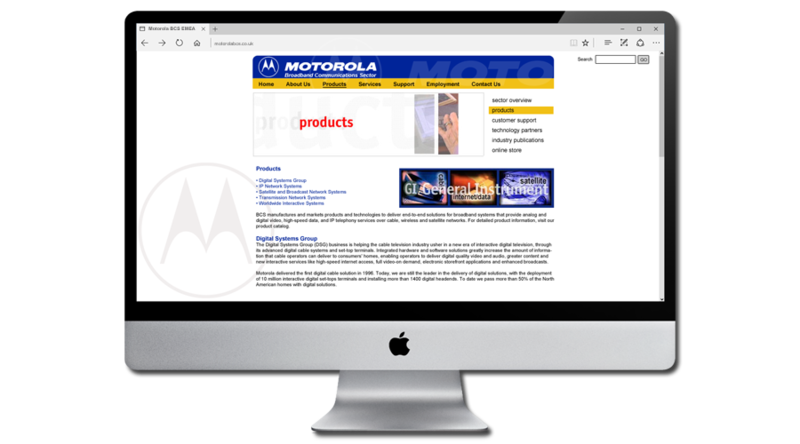 At the time, General Instrument Europe had been a long standing client of ours, and we were delighted when Motorola endorsed this to make InForm their preferred digital marketing agency for Europe, the Middle East and Africa. 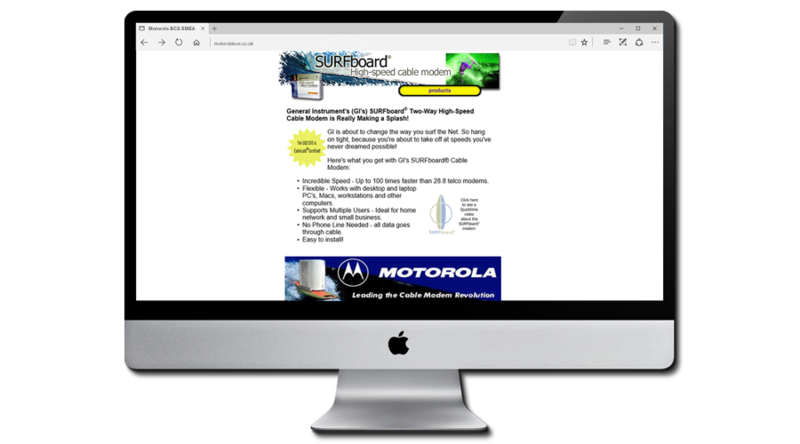 Another example Motorola banner ad promoting the key BCS marketing message "Video, Voice and Data". 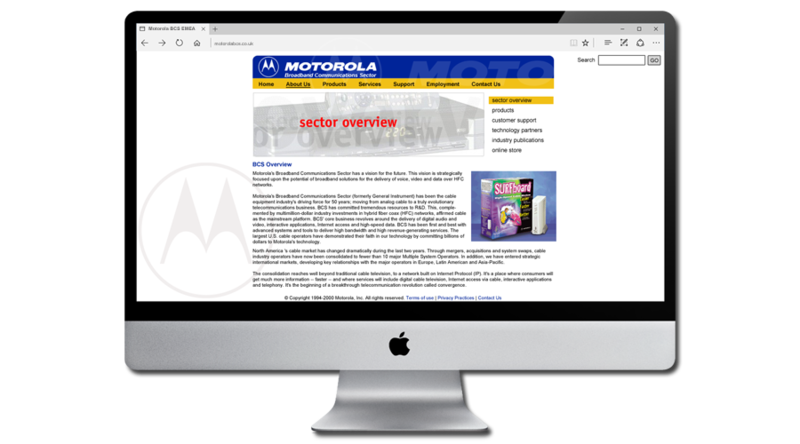 InForm provided a full range of digital marketing solutions for Motorola. 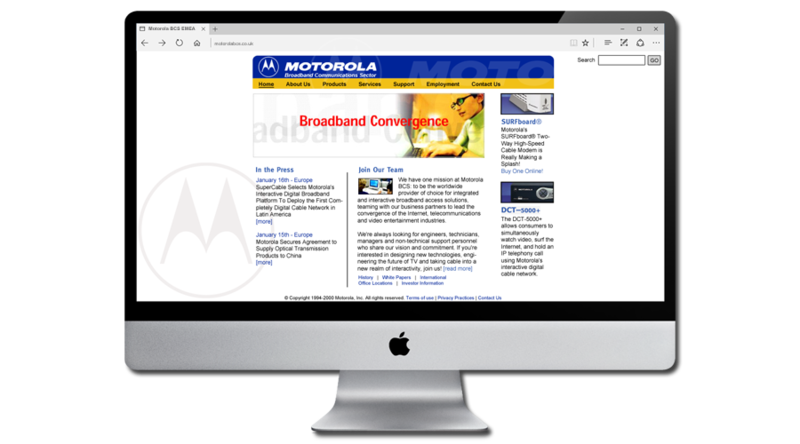 As well as the Motorola BCS EMEA corportae website, our work included online animated adverts, landing pages, micro sites, web collateral, offline marketing collateral, E-Newsletters, Search Engine Optimisation (SEO), Copywriting and Email Marketing Campaigns. We have been working with InForm Web Design for several years now. Their experience and ability to create unique and outstanding designs & marketing solutions is definitely among the best available in the industry. They integrate seamlessly with our European Marketing team and Ian always finds time to listen and uses his considerable marketing experience to deliver solutions that meet our needs.